Search for local dispensaries near you. Find and review your local delivery services. Need your med card? Find Doctors and clinics in your area. Find the latest deals in your area. Your daily dose of the latest marijuana news from around the world. Exclusive deals from cannabis clubs near you! Meet new friends and smoke buddies. 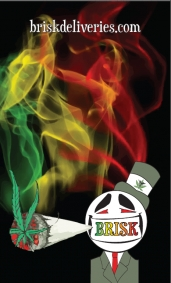 Get involved with our amazing online community of medial marijuana users. Got what it takes to be an All star reviewer? Download our app to find dispensaries on the go! Gain more exposure and engage the community. Maximize your exposure by utilizing THCFinder.com. What are the Health Benefits of Medical Cannabis? The scientific studies demonstrating the positive effects of marijuana treatment are becoming more and more prominent in mainstream science. More and more people are opening their eyes up to the possibilities that are available from marijuana and the extracts from it. What we are seeing is that the cannabinoids present in marijuana are even more potent healers than was first suspected. With studies conducted all the time and new theories proven correct what we will be able to achieve with marijuana in future is as yet untapped. Whether it’s regular cannabis strains or non-high inducing CBD let’s look at seven ways marijuana could help you that you might not have considered before. A large part of the reason that medical marijuana is so helpful to us is because of the endocannabinoid system. Throughout the body, we have what is called the Endocannabinoid System. This is a network of cell receptors and corresponding molecules that exist throughout the body. It is made up of two different kinds of receptors which are the CB1 and the CB2 receptors. The first kind is primarily located in the brain and the central nervous system, these are known as CB1 receptors. The other kind of receptors, known as CB2 receptors, are commonly found in the immune system. These cannabinoid receptors have a wide array of functions. For example, sleep, mood, motor control, pain, memory, and immune responses. Naturally, these wide-ranging processes help to maintain an optimal function within our bodies. Perhaps the most well known of medical marijuana’s effects is its anti-inflammatory properties. They’re so potently effective that in recent times even pro athletes have turned to the powerful healing factors of medical cannabis products. For example, CBD rich oils are used to combat pain and devastation inflicted on their bodies during intense training or in competitions. Often because of extreme stress joints can develop painful inflammation and CBD combats this. Joint inflammation also occurs because of chronic diseases like arthritis. In several studies, CBD proved effective in treating this. It follows then that this would also be helpful for those suffering from other common ailments and not just limited to those on the extreme ends of the spectrum. In fact, skin diseases such as rosacea and psoriasis can be treated successfully by using CBD products. And because of the effects that CBD has on serotonin levels in the body it can also be used to counteract the negative psychological effects and stresses that having such conditions can produce. Cannabis is already widely used in the treatment of pain and nausea during chemotherapy but can it prevent cancer outright? Well, some scientists think that yes it might. In studies done involving mice, cannabis has been shown to have chemoprevention properties. Researchers found that when rodents were given an injection of pure CBD (cannabidiol) they were less likely to develop colon cancer even after being induced with the disease. Obviously, this is still in a developmental phase but the potential it has to help the millions of people all over the world who suffer from cancer is monumental. As we’ve said the endocannabinoid system exists throughout the body. The receptors that contribute to it respond exceptionally when medical cannabis is introduced. One of these receptors is called anandamide, it resides within the digestive tract and is responsible for the digestive processes. Perhaps for reasons like this, it’s not hard to see why those who regularly indulge in THC get ‘the munchies’. But in a more serious sense for those suffering from chronic bowel conditions the presence of such a receptor might be a real blessing. Studies have shown that the anti-inflammatory properties contained in medical cannabis might be vital in treating conditions such as IBS and Crohn’s disease. 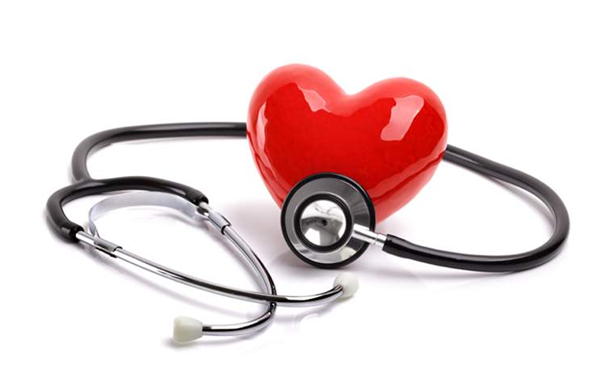 One of the little-known effects of medical cannabis is its potential for heart disease treatment. Small doses of the THC are able to relax and also widen the blood vessels. This process is known as vasorelaxation and is probably best demonstrable in the reddened eyes of those who regularly smoke marijuana. Because of these widened blood vessels, naturally, the blood tends to flow a little easier. It’s not difficult to see how this could be perfect preventative medicine for those liable to suffer from clogged arteries in their hearts. Of course, we’re not encouraging behaviour that would lead to such life-threatening conditions but it’s good to know. Of the many benefits from medical cannabis, this might well be the most exciting one. In the University of Bonn and The Hebrew University of Jerusalem, researchers have found new information that might mean that naturally fading cognitive abilities in later years might no longer need to be the case. Using mice of various ages as their test subjects, they experimented by giving them small doses of THC. After that, they then tasted them on their learning capacities and memories. What they found was incredible. Mice that were given placebos displayed normal age-appropriate brain function while the mice that had been dosed with THC showed improved cognitive ability. The older mice showed brain function similar to the two-month-old group. Of course, human trials are yet to be undertaken but it’s very clear that this will have devastatingly positive effects on the ailments we’ve long taken for granted as just part of growing older. Whether it’s Alzheimer’s or Parkinson’s the possibilities are quite exciting. Thousands of people with pre-existing conditions are finding that medical marijuana may be the best way to treat their symptoms. Conditions from cancer to IBS can be treated effectively by medical marijuana. While the benefits of cannabis have won over a lot of patients many people are still undecided. This could be down to the traditional image of cannabis consumption, which has permeated pop culture for decades as the purview of unkempt stoners. It’s understandable if a 57-year-old accountant called Agness is hesitant to take cannabis for her chronic pain when her only point of reference is Jay and Silent Bob skinning up on screen and staggering around like clowns. There is much more to consuming dry herb than a hand-rolled joint with a damp roach. Let's explore some of the methods of consuming dry herb that may suit those seeking its medicinal benefits. 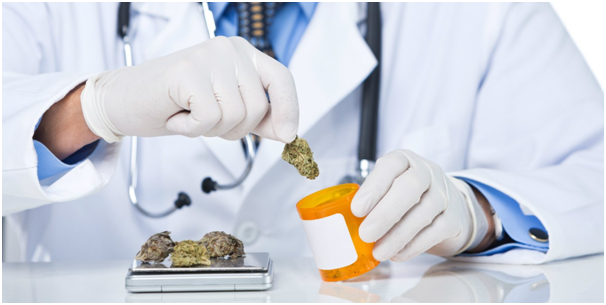 Medicinal users may be cautious of cannabis due to the perception that they’ll have to consume a substantial amount over an extended amount of time in order to receive the correct dose of THC and other cannabinoids. A solution to this is using dabs, a concentrated form of cannabis extract that can pack more THC into less material. Dabs are created by a process of solvent-based concentration. This process works by using a solvent, usually butane, to literally push the active ingredients (called cannabinoids) out of cannabis. After this is done a vacuum pump is used to extract the butane, creating dabbing concentrate. This will take one of three forms: Oil; a viscous concentrate and the weakest of the three forms. Wax; a sticky and crumbly concentrate that resembles bee’s wax. The purest type of dabbing concentrate is shatter; a brittle, candy-like concentrate that contains the highest level of concentrate. Dabbing concentrates are consumed with a specialized dabbing kit. This kit typically contains a waterpipe for cooling, a nail, and a butane torch to heat the nail. The nail is often heated to an incredibly high temperature to ensure that the concentrate is vaporized instantly when it is dropped on. The advantage of dabbing concentrates is their sheer potency. A single dab hit will have the equivalent of several joints-worth of THC, allowing a patient to quickly find the correct dose for the relief they need. Edibles are a well-established way to consume cannabis. As the medicinal advantages of cannabis become more well-known edibles are evolving beyond dry brownies hastily whipped up in a messy kitchen. Edibles are a great way to consume cannabis for people who want to avoid harsh smoke. They are easy to consume and gradually enter a user’s system over time. However, if a patient is looking for instant relief then edibles may not be for them, the active ingredients take some time to enter the body through the stomach lining. Another risk presented by edibles is overdose. 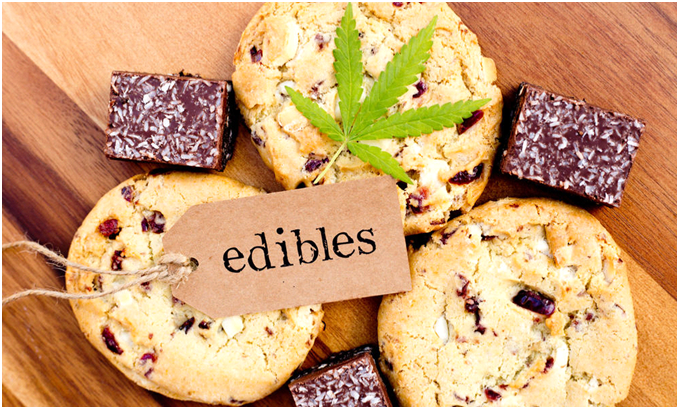 It takes time for edibles to have an effect on a patient's body, and in that time it’s easy to sneak another brownie! Bongsare a classic and well-known way to consume cannabis. There’s a very good reason for their fame, it's down to the huge, cool hits delivered by a good bong. 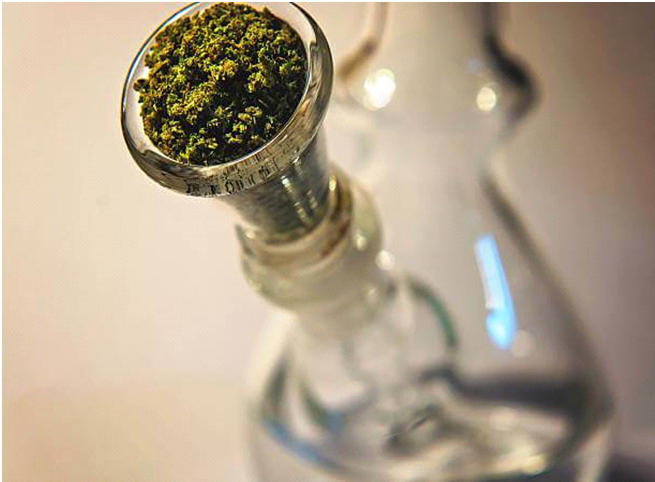 Bongs work by using a water reservoir to cool the smoke of a hit and make it easier and more enjoyable to inhale. Many bongs come equipped with percolators, glass tubes that break the smoke that passes through them into smaller bubbles, increasing their surface area and cooling it more effectively. 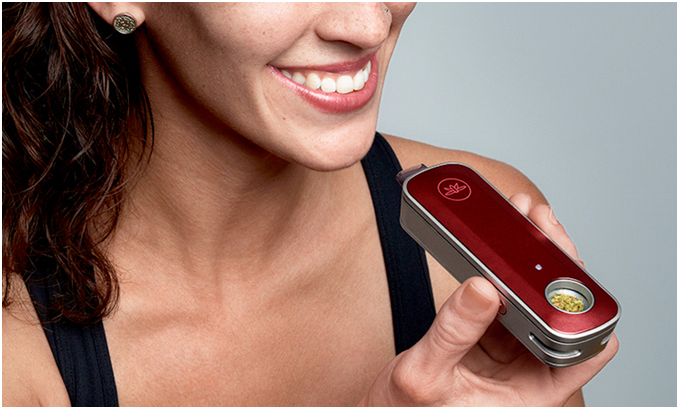 One of the more recent innovations in medical cannabis consumption is the marijuana vaporizer. The main advantage of marijuana vaporizersis that they allow patients to consume cannabis without the acrid smoke or carcinogens released by combustion. Vaporizers work by taking advantage of the boiling points of the active ingredients in cannabis. It heats them, boiling them off into a smooth vapor that contains none of the toxins and carcinogens that are found in smoke. There are two main methods of vaporization: Conduction and convection. Conduction is more commonly found in portable vaporizers like the Firefly 2. Conduction works by directly heating your cannabis with an electronic heating system. The surface area of the cannabis is heated directly by the heating system much in the same way as a kitchen stove works. One of the main advantages of conduction vaporization is its rapid heat up time, this makes it perfect for frequent, quick doses when you’re out and about. The second main method of vaporization is convection. Convection works by heating the air surrounding your dry herb and gradually extracting the vapor out of it thoroughly. Convection works much like a fan oven, baking a thick and delicious vapor out of your dry herb. Convection heating systems often take up a bit more space than conduction and thus is more often found in desktop vaporizers like the Volcano from Storz & Bickel. Convection heating is great for longer sessions with denser, more potent, and tasty vapor. Overall, vaporizers allow patients to enjoy all the advantages and effects of medical cannabis without any of the unhealthy and harsh smoke produced by combustion. There are many ways for patients to enjoy the benefits of medical cannabis. Licensed medical professionals and patients alike should familiarize themselves with all of them in order to find what works best. While the popularity for Vaporizers continues to grow at a rapid rate, knowledge for their optimum use tails behind. We are all familiar with the old, tried and tested, traditional methods of enjoying Marijuana like Bongs, Pipes, Blunts and Joints, however, we don’t all know the benefits of vaping. It’s only been in recent years, with the rise in legalization and acceptance that we have seen such a monumental surge in popularity for vaporizers. Through continuous lab tests and scientific research, the benefits of vaping are really starting to appear more frequently. Considered to be significantly healthier than smoking, it comes as no surprise to see the vape market grow at the rate it is. By removing the combustion element from the process, we are preventing several carcinogens and toxins from reaching our bodies. Carcinogens are toxins which are directly associated with the growth of cancer cells. Marijuana smoke contains a wide range of these carcinogens, which are unavoidable when inhaled. Rather than using combustion to release the active ingredients in Cannabis, Vaping boils the materials producing a vapor rich in terpenes and cannabinoids. As Cannabis is becoming more frequently accepted as a modern day medicine, the healthiest means of obtaining its active ingredients must be found. While not entirely healthy, Vaping is certainly a feasible alternative to smoking. While with smoking we have zero control over what takes place after lighting, with vaping you are able to change temperatures at the simple click of a button. In this article we will learn more about Vaping Temperatures, Vaping Techniques & Vaporizers in general to ensure you always achieve optimum results from your Vape Experience. 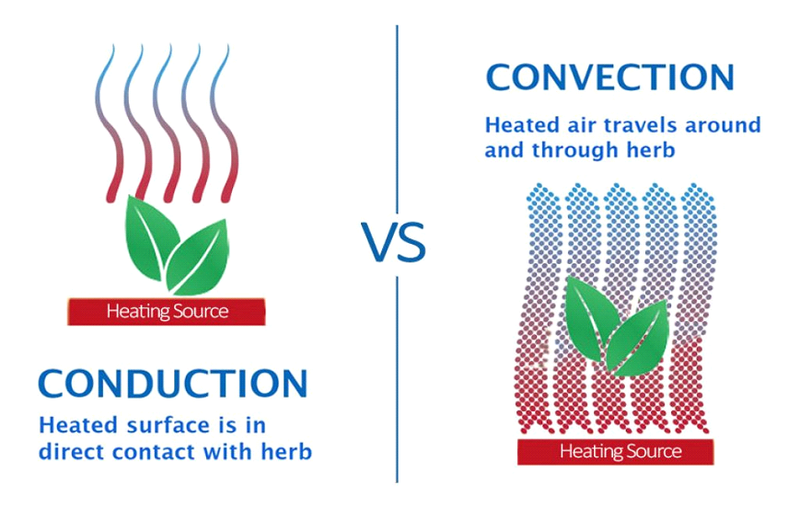 There are predominantly two kinds of heating techniques used in vaporizers today, Convection and Conduction. Convection works by heating the air in the chamber the Cannabis is held in, essentially creating an oven affect. Conduction on the other hand, works by direct contact with the ground weed being vaped. While Convection is known to create more powerful flavors, Conduction is known to produce the truly thick clouds we crave. There are a number of Vaporizers on the market which claim to mix the two forms of heating in a Hybrid style of vaporizer. These vaporizers are usually predominantly one or the other however vapes like the Crafty by Storz &Bickel and the Air II by Arizerare certainly setting the bar for the vapor produced using hybrid heating. Each vaping temperature will create different results. The lower temperatures accentuate flavors while higher temperatures will create the thicker clouds. It is down to you to decide the happy medium you prefer. Personal preference plays an integral role in choosing the perfect temperature range for you. The higher temperatures can sometimes produce harsh, overly hot vapor while the lower temperatures usually lack in vapor density. I’d recommend a medium to high temperature like 185 degrees celcius to ensure all the active ingredients are vaporized thoroughly while also protecting the flavors. There are a number of active ingredients in Cannabis which all vaporize at different temperatures. For optimum results from your Vaporizer, it is recommended to take slow, exaggerated draws. By taking these longer, drawn out tokes we are allowing the unit to maintain its set temperature. It also counteracts any draw resistance and ensures both the flavors and the vapor are of the highest quality. The majority of vaporizers require a particularly fine grind when it comes to producing the optimum vapor. However, some don’t need this much care, read up on your vaporizer and its tendencies and learn the perfect way to work your unit. There are countless reviews and walkthrough videos all over the internet, use them. One tip, which is imperative to the longevity and usability of your device is to keep it clean. Set yourself two minutes after each session to keep your vape clean and in workable order. Like mentioned there are several tutorial videos available so try to prioritize it. There are a number of factors contributing to the ultimate vaping temperature. The Vaporizer you are using, The way you are using it, What you are vaping, the list goes on. The difficult part is finding your own personal preference. Personally, I find 185℃to be perfect for what I’ trying to achieve, flavor and dense vapor. Play around with your unit and find what works best for you. If you are new to the vaping world and you are yet to decide on a vaporizer two of my favorites are the Crafty, the smallest vape by Storz &Bickel and the Air II, the newest vape by Arizer. With the Air II’s borosilicate glass airpath and the Crafty’s high quality German engineering it is easy to recommend both to you. There is countless advantages to making the switch to vaping, it is only a matter of realising them. The health & financial benefits play enormous parts, but if that’s not enough, studies are starting to reveal vaping can activate 20% more THC than the traditional smoking. Food for Thought? What strain are you smoking on today? Smiths Falls, Ontario — population 8,885 — is seeing a revival of fortunes since medical marijuana producer Tweed Inc. set up shop four years ago in an abandoned Hershey Co. chocolate factory. The company, since renamed Canopy Growth Corp., has become the world’s largest publicly traded cannabis producer and is the town’s largest private-sector employer. Do College Girls Smoke Marijuana? Rosie Huntington Whiteley Smoking some weed! Celeb hotties caught smoking weed.